Futura is the prototype of a geometric and constructed linear sans serif and the most commonly used font of its kind, used to date. Futura, very much influenced by the Bauhaus movement in Germany, was designed in 1927 by Paul Renner. Although being around for almost 90 years, Futura seems eternally young and fresh which also explains its continuous popularity with designers and typographers. Futura simply means efficiency and functionality, documented by both its many usages as corporate type (e.g. Volkswagen, formerly IKEA, Vuitton, Shell, formerly HP, SMA and many more) as well as in various famous film projects (e.g. Kubrick, Anderson etc.). Futura’s iconic status was probably established when it walked on the moon with the Apollo 11 crew in 1969. It was used for the lettering of the plaque that was left up there. This is the world’s most comprehensive and biggest offering of high-quality Futura fonts! Software compatibility: Adobe Illustrator, Photoshop, InDesign or Inkscape. Language Support: Afrikaans, Basque, Breton, Catalan, Danish, Dutch, English, Finnish, French, Gaelic (Irish, Scots), German, Icelandic, Indonesian, Irish, Italian, Norwegian, Portuguese, Saami (Southern), Spanish, Swahili, Swedish. I would have paid more than double if those were an optional extra. Thank you so much for your comment and I’m so sorry but the designers have not included any web font versions for Futura in our $5 birthday event deal for licensing purposes. We are so sorry if this is a disappointment for you Sean but please do not hesitate to pop us a message if there is anything that we can do to help! Hi, so i can use these fonts in banners, posters etc? Hey, is there really no support for the Polish language? Thank you so much for your comment and we are so sorry for any disappointment caused! Unfortunately the designers are unable to confirm Polish as a supported language. Our sincerest apologies if this disappoints you but rest assured I have popped you an email to see if I can help you further with this! With the $5 license. Will I be able to use the font for screen i.e. Film-music promos-commercial? Thank you so much for reaching out to us and I’m so sorry for any confusion caused by our font licensing. Rest assured I can certainly help you with this and have popped you over an email! Hi, i read all comments and licence, and how is it? I cant use fonts in webpage, but i can use font in posters, banners etc? We’re so sorry for any confusion caused by our licensing. Unfortunately for our $5 birthday deal, the designers have not included the web font versions for Futura so our sincerest apologies for any disappointment caused. Thank you so much for your birthday wishes! We’re so sorry for any disappointment caused by our birthday event deals. Unfortunately on this occasion we are only able to provide our customers with the Desktop versions of these fonts by URW in our $5 birthday event deal so our sincerest apologies for any inconvenience caused. Rest assured I will certainly pass on your feedback to our Product Curators so thank you so much for taking the time to reach out to us John and we hope that you are able to pick up some great new resources in our birthday event. Hello, does this deal allow the use of Futura Font in a video game ? Thank you so much for your comment and I have popped you over an email to help! Happy Birthday! Awesome deals, but would be nice some of the fonts to include Cyrillic version. The deals sound amazing, but I was wondering if this is an authorized distributor of URW fonts? The deal sounds almost too good to be true, so I wanna be sure its all good. Okay, webfonts are not included. But can i create web fonts from the files or is the use of the Futura as webfont explicitly not allowed? So you are correct- web fonts do not come with Futura. Unfortunately you are not permitted to create the webfont yourself as you would not have a license for web usage. If you do require Futura as a webfont, please do let us know and we can definitely get some pricing from URW++ for your intended usage Mario. Thank you so much for coming back to Carol Mario! It is great to hear that you are interested in all of these fonts from our birthday celebration. We can certainly reach out to URW directly to get an idea of pricing for you to be able to use the web font versions for all of these. That means, there are no special prices for the additional web fonts in this promotion, right? Thank you for your commitment, but the normal official prices at URW for the web fonts, compared to the desktop use, are ridiculous. Thanks so much for taking the time to come back to Annabel! Hi, wanted to ask if this comes with italics (or oblique) as well? I would like to ask if FUTURA font from the bundle supports Slovenian language (Central European). Thanks so much for your comment on Futura and I can definitely help! How come this deal has no cyrillic yet if you come directly to URW++ Shop you can clearly see that their Futura actually has it? Thank you so much for your comment on Futura and my apologies for the lack of Cyrillic included on our website. URW++ have been unable to include Cyrillic in the version they are allowing us to sell for licensing reasons. I am so sorry if that disappoints you but as we hope you understand, we must follow the designers instructions regarding the sale of their products. Please do let me know if I can help with anything else Vladislav! Hi. 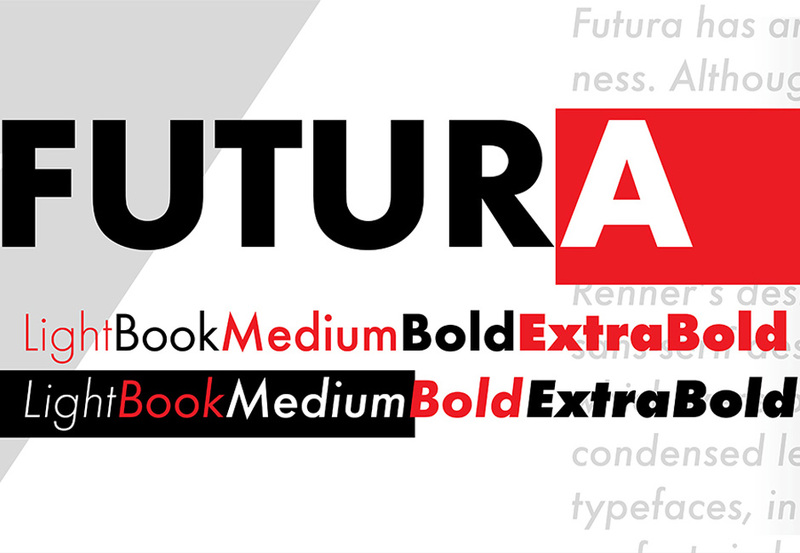 URW Type are selling Futura on their own store with options: Standard, Plus, Pro. Cyrillic characters are included in the last two, but the price could scare you away. The worst thing is that these “additional” options are only available on their store. Personally, I’m happy with the purchase, because the font contains Polish and Slavic characters. PS. Before buying any font, I suggest to check and compare it on the markets, like: MyFonts, CreativeMarket, FontShop, e.t.c..
We really appreciate your support and hope that you get lots of great use out of all of your new resources! what a deal!!! does this include webfonts as well? Thanks for the comment and we are so happy to hear you are enjoying Futura as part of our birthday event. I am sorry to disappoint you but webfonts are not included.